The procurement of plastc seats alone inflicted 27 mn hryvnia in damages to the state. The prosecutor's office of Kyiv says they suspect the former head of the NSC Olimpiyskiy in the nation's capital and two contractors of large-scale embezzlement during the preparations for Euro-2012 footbal championships. 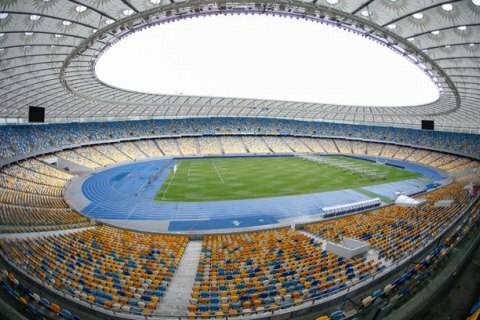 The capital's prosecutor's office said in a Facebook release on 21 November that the investigation found out that during the preparation and holding of the final part of the European Football Championships 2012 in Ukraine, the CEOs of the State Enterprise Olimpiyskiy procured significantly overpriced seats for the stadium stands and subsequently withdrew the funds through business entities "with signs of fictitiousness". The procurement of plastc seats alone inflicted 27 mn hryvnia in losses to the state, the statement reads. Heads of the general contractor AK Engineering LLC and the subcontractor Spetspostach, a company affiliated with the international charity fund National Security have been served notices of suspicion, prosecutors said. The former CEO of Olimpiyskiy, whose location is being established, was also announced of suspicion. Kyiv prosecutors say they have asked a court to warrant the taking of the suspects into custody and set a 13 mn hryvnia bail for them. The reconstruction of Olimpiyskiy ahead of Euro-2012 was held from 2008 to 2011 and cost almost 5 bn hryvnia. In September 2016, the capital's prosecutor's office searched the contractor firms that supplied and installed LED electronic displays and seats to Ukraine at an inflated price. The amount of damage to the state was estimated at over 9 mn hryvnia.